The AFL 9s Classic returns to Sydney this November at Queens Park. Following the success of the inaugural competition in 2016, the round-robin tournament will host over 1000 people from around the country, as they face off in the AFL’s social version of the game. Last year, over 80 teams competed for a share of $60,000 in prize money, with the major prize winners from a Sydney University based team taking home $10,000 for their efforts. With competition categories such as schools, corporate, male, female and mixed – beginners to experienced – there is a chance for teams to come away with cash prizes, no matter their level of skill. 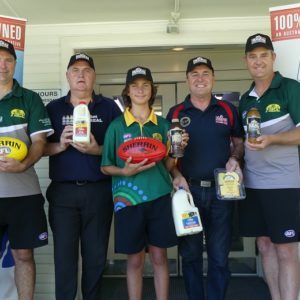 One team that took home $5,000 last year was the Wandin Football Netball Club, who flew in from Victoria to compete. 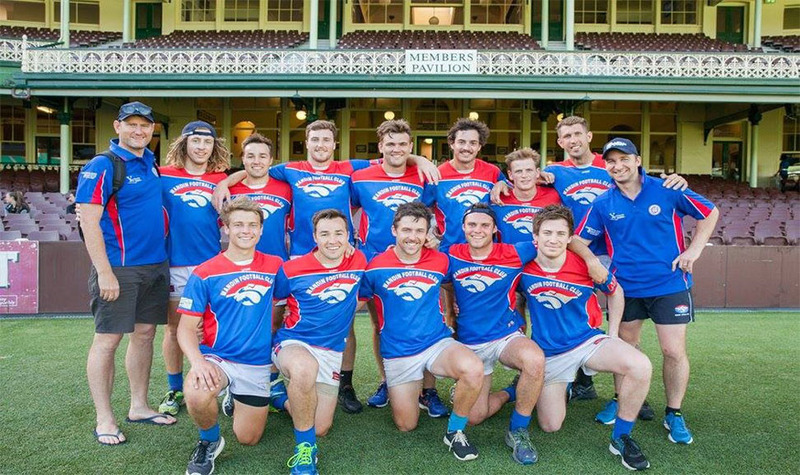 Wandin team captain, Dannie McKinnon said that his club used the AFL 9s Classic as an opportunity to bond with their club’s new coach. “We appointed a new coach, Nick Rutley for the 2017 year and felt a trip away for him to bond with a dozen players would be great way to start the pre-season,” explains McKinnon. “We approached sponsors, who assisted with funding and with the support of the AFL 9s Classic team, were able to make the trip a reality. 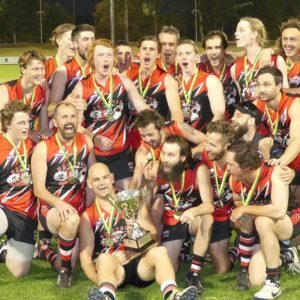 As a team that had next to no AFL 9s experience, all it took for Wandin to come away with the Runners Up title in the Open’s Division, was a few light training runs to get used to the rules. “Aside from a trip away with a group of mates, it was awesome to see the guys take on the challenge of the hybrid game, learn the rules and adapt as each game was played. “We hadn’t played a game of AFL 9s before arriving. All we had done is run a few light training sessions with the group prior, and watched some education footage online provided by the AFL. As Runners Up, the team went back to Victoria with $5,000 in their pocket, however half of it would soon be donated to their local Country Fire Authority. In 2017, players from the GWS GIANTS were also involved around the park including 2017 GWS GIANTS AFL Women’s player, Ella Ross who joined a social team from her hometown of Canberra, and Heath Shaw and Maddy Collier who took part in the Celebrity All Stars match. Collier says that AFL 9s in a fantastic way to keep fit, especially heading into the AFL Women’s pre-season. “We had so much fun last year,” said Collier. The AFL 9s Classic runs in Sydney from 24-26 November in Queens Park. If you or a team you know would like more information or to register, please visit the AFL 9s Classic website.